Subluxations left without correction often lead to subluxation degeneration, a condition that follows four distinct phases depending on the length of time they have been present. 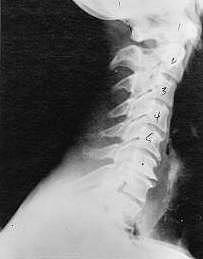 In a near normal spine, disc spaces between the vertebrae are thick and even. 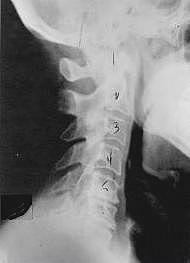 The actual vertebra has a square-like shape without any protrusions or worn areas, and it also has well-defined borders when viewed in an x-ray. The first stage of degeneration is subluxations that have been present for up to 20 years. 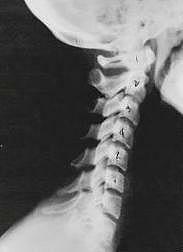 Although the vertebrae still have clear borders, there are subtle changes in shape, and the normal curve of the spine is affected. Chiropractic reconstructive care can take anywhere from 6 to 18 months. This stage is seen in patients who have left subluxations uncorrected for between 20 and 40 years. Calcium changes, which are commonly called spurs or arthritis, occur and range of motion can be comprised in the affected area. Disc spaces are noticeably narrower in x-rays and they also begin to flatten out. Chiropractic adjustment for spine reconstruction at this stage takes between 1.5 and 2.5 years. In this phase, subluxations have been present for 40 to 60 years. 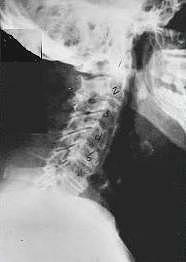 Major changes to the vertebrae occur and discs and calcium deposits increase. Most patients will have limited range of motion and display symptoms. Although chiropractic care cannot restore damaged structures, it can increase functionality and range of motion. This process can take between 2.5 and 3.5 years. Uncorrected subluxations that have been present for more than 60 years can cause extreme health issues, negatively affect your quality of life and shorten your lifespan. Restoration is not possible at this point because of the severe damage to the spine’s structure. However, relief from pain and some symptoms can be found with chiropractic care. If you’re alive and have subluxations, you’re better off alive without resulting nerve interference and subluxation degeneration. Chiropractic Lifecare of America is dedicated to helping you save up to 50 percent on chiropractic services. Call 800.775.7900, or visit our website to learn more about our large network of doctors. If You Go To Midas..